Inaugurated by President on August 4, 2015, Navachara Gallery is a unique attempt to foster innovation and technological advancement in India. Through this initiative, Rashtrapati Bhavan seeks projects on new technology based innovations and then selects a few to be exhibited in the prestigious Navachara Gallery. President is a keen enthusiast of innovation and technology. Week long ‘Festivals of Innovation’ have been organized at Rashtrapati Bhavan in 2015 and 2016 under the guidance of President Mukherjee and with the help of the National Innovation Foundation. The Navachara Project has been executed in collaboration with Intel. The word Navachara signifies “new ideas” and as a concept attempts to harness the creative curiosity of India. ‘Clumsy’, the Robotic Dog is designed by an Indian student who is the winner of Intel ISEF 2015 Grand Award. Using sixteen servo motors, various sensors and a microcontroller, Clumsy has been crafted to perform the tasks of regular dogs like walking, squatting, jumping etc. 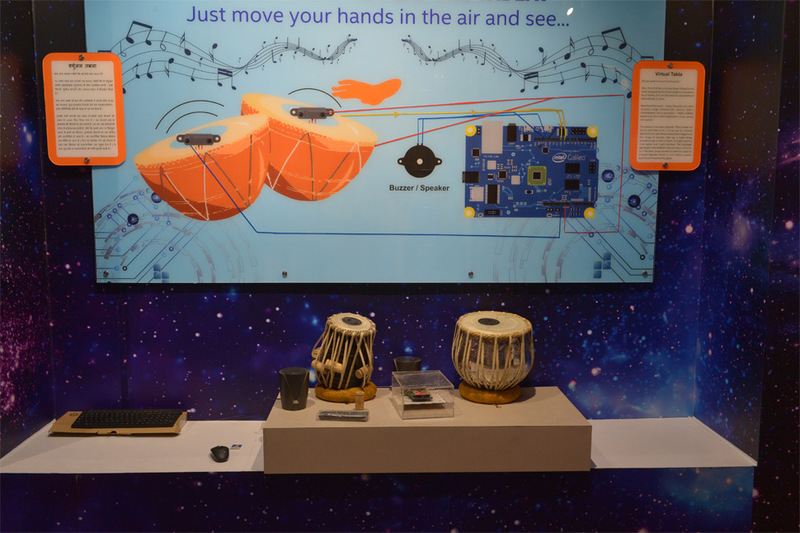 Virtual Tabla: Designed by three student innovators of Ahemdabad, Gujarat, the Virtual tabla drums are created with the help of infrared sensors, development micro processors and Intel’s Galileo Board. 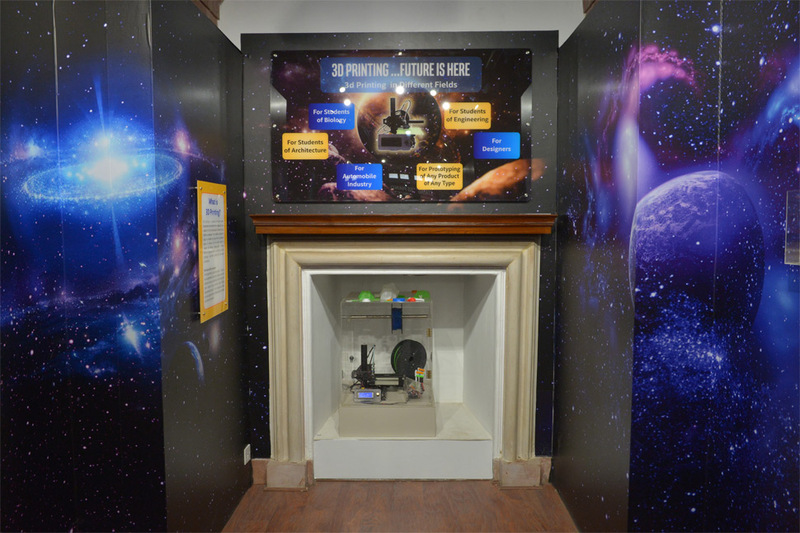 A detailed description on its working has been put up in the Museum in English and Hindi along with the names of our young achievers. 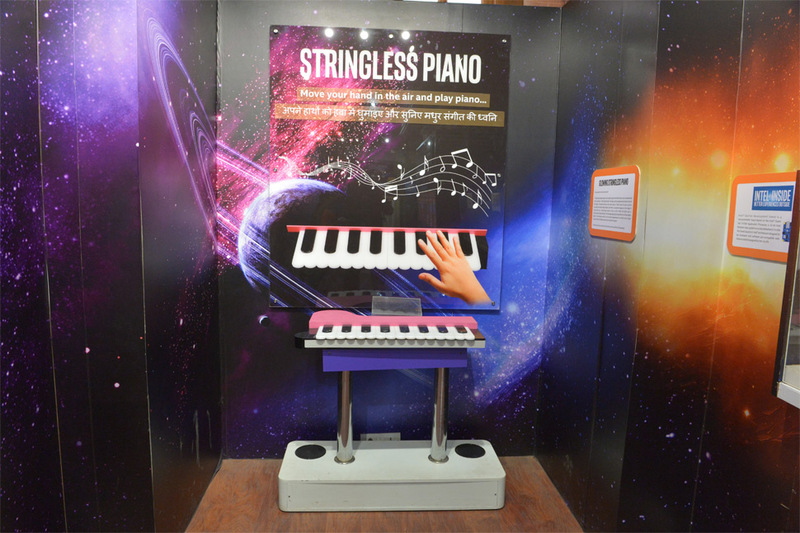 Stringless Piano: Worked through a wireless, touch sensitive electric sound producer, the stringless piano is a sensor activated device that produces music with just hand movements. 3 D Printer: 3D printing which is a process of making three dimensional form objects from a digital file is done by the 3 D Printer. 3D printing is useful in various fields such as automobile industry, designing, study of architecture etc. and for prototyping of any product of any type. It is an easy and cost effective method of creating a low cost prototype before deciding on final mass production of any product. The 3D printer installed at Navachara is capable of printing 4 objects at one time and is controlled by an open source micro controller Intel Galileo development board. 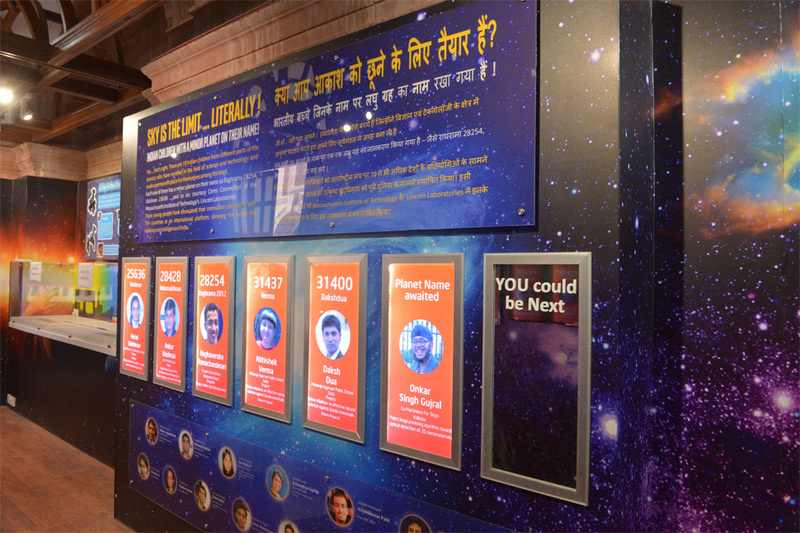 Planet Wall: Nineteen Indian children who have excelled in the field of science and technology at a global level have had their names inscribed at the Rashtrapati Bhavan Planet Wall. In association with Ceres Connection program of Massachusetts Institute of Technology’s Lincoln Laboratories, each of these brilliant students has a minor planet on their name, also showcased at the Museum. 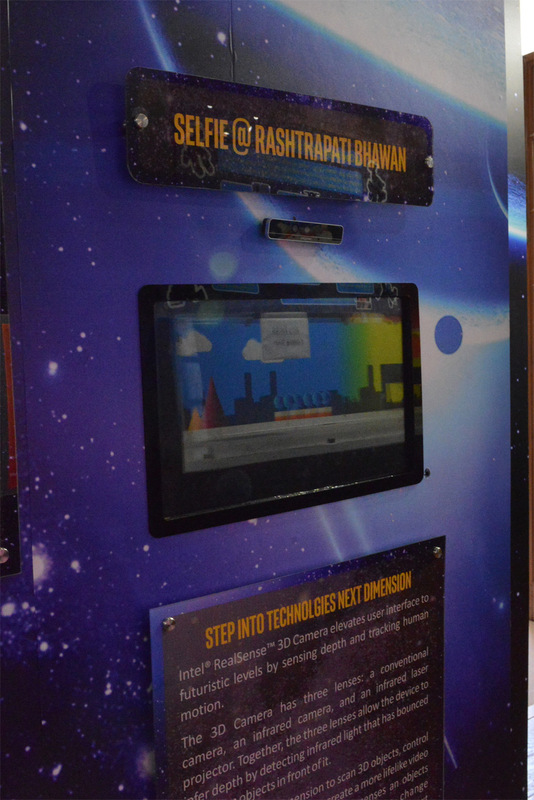 Navachara’s Talking Wall is an interactive audio visual platform for students to get information about national science fairs and much more. Apart from these, the highlights of Navachara also includes clicking a ‘selfie’. In a simple four step procedure, one can take a selfie with Rashtrapati Bhavan as the background and have the image emailed to their accounts. It is a perfect personalized souvenir that one takes back from the Rashtrapati Bhavan.